To grow a garden, you need to have good quality, nutrient-rich soil, sunlight, and water to produce healthy plants. If you try to plant in dry, deficient, poor-quality soil, you either won’t grow any plants or the plants that do grow will be weak. The practice of Hatha and Kundalini Yoga, Yin Yoga and Meditation can work directly with the hormonal and reproductive systems to optimize their function and increase the probability of conception. Mind-body research has shown that tension, anxiety, and other emotional disturbances interfere with vital secretions of the pituitary gland, the master endocrine gland that affects all the body’s hormonal functions. When a woman is under stress, ovulation can be delayed or suppressed altogether. Stress also changes the immune systems functioning of the cells in the reproductive tract. Studies have demonstrated that as a woman learns to manage stress, her fertility can change. Yoga can help. Many studies have showed that certain yoga positions can increase fertility. Some studies found that certain positions can indeed increase the likelihood of conception because they increase blood flow to your reproductive organs which may stimulate ovulation and make your uterus more conducive to conception. Also studies have found that couples undergoing IVF treatment who also practice yoga regularly are more likely to conceive. Fertility yoga can help many functions. Such as, the pituitary which is responsible for regulating female reproductive hormones such as LH (luteinizing hormone, which causes ovulation), FSH (follicle stimulating hormone, which matures the eggs in the ovaries), progesterone (which causes the endometrium to mature so that it can support implantation of the fertilized egg), and estrogen. In yoga, the pituitary gland is also understood to regulate a woman’s mental and emotional health, an essential element of her ability to conceive. Alongside these fertility-enhancing yoga postures, and equally vital to healing reproductive challenges, is meditation. Meditation directly affects the pituitary gland, as well as the hypothalamus and the pineal gland. The hypothalamus is the part of the brain that signals the pituitary gland to release hormones. The pineal is the gland that produces serotonin, which is important for libido and well-being, and melatonin, which is connected with feelings of relaxation and is also thought to be involved in reproductive function. 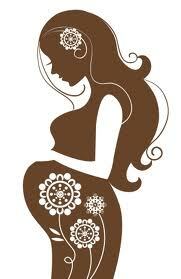 This 7 Week Fertility Yoga Program will focus on moving energy through the 7 Chakras, also known as “energy centers”. We will begin from the Root Chakra of the body and work through all seven chakras providing balance and healing to each. Because the first three chakras house the reproductive organs of the female body, this flow of energy is crucial to a woman’s fertility.